It is a small high performance development class, so many variables are left open. Only maximum boat length (one meter), maximum beam (1,2 m), maximum sail area and maximum mast height are controlled. 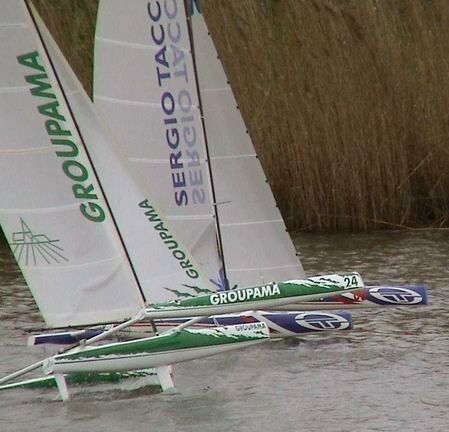 The boats promise to be the fastest boats on the water less than one meter long. The class shall make efforts to keep the boats easy to build or obtain, fast and easy to handle and low expense. The class was founded on the idea that class rules should encourage innovation and performance enhancing features while keeping boats similar. 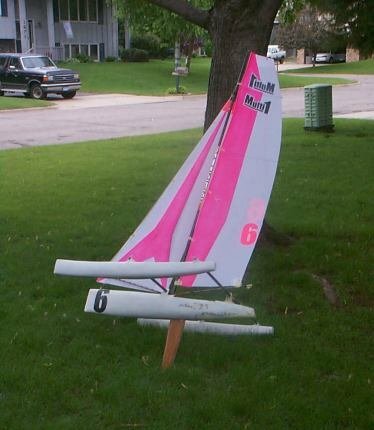 This class was developed in France based on the Formula 40 full size rule reduced to 1/10 scale. The intention of the rules is to give the designer and builder the freedom in design and construction, within the limitations of the rules, to build and produce competitive multihulls. 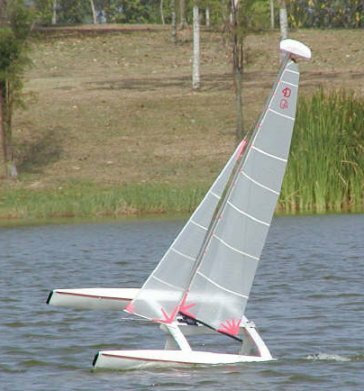 The models are limited to 1220mm maximum length, 1220mm maximum beam and 0,9 m² maximum sail area. Moveable ballasts, wing masts, swinging rigs are permitted. This class is the United States version of the Mini 40 class. 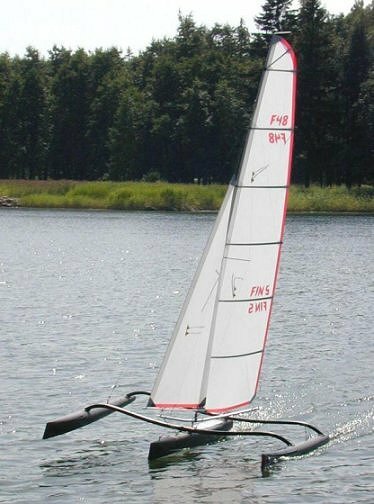 The Formula 48 is an open and fully developmental class of radio controlled sailing multihulls and only three dimensions are controlled: maximum length, width and sail area. Boats have the same size as the previous class (1220mm maximum length and beam) and 0,9 m² maximum sail area. Actually, a same hull would be legal in both classes. Solid wing sails, multiple masts, uni-rig sail designs, wing masts, moveable ballasts are all legal and encouraged. It was the first class created for multihull racing and was first promoted in France. The rules are simple, catamarans or trimarans are allowed and are limited to 2m length and width with 2.3m maximum mast height. The sail area is unrestricted, but since the boats don't normally use ballast the rig is self-limiting. This class produces magnificent looking craft, very stable on the water but difficult to handle on shore. The boats promise to be the fastest boats on the water less than 2000 mm long. - Iwema Enterprise - Interesting information. Classes and several multihull models.